made on top of each other, a circular shape is created. 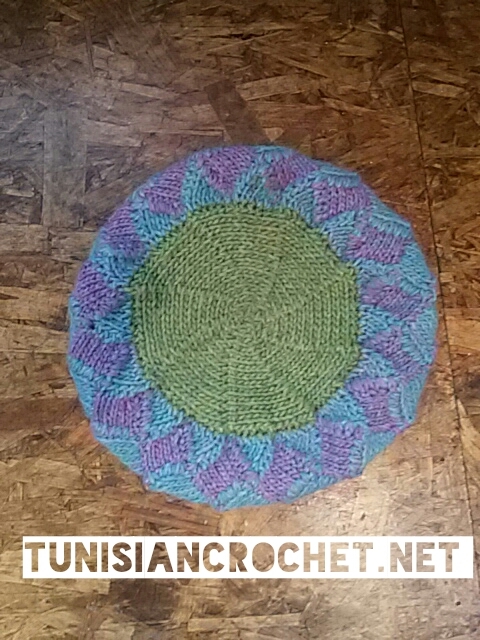 Learn how to crochet a Tunisian Short Row Circle in this contributor post brought to you by Nicole Cormier from Tunisian CrochetNet. 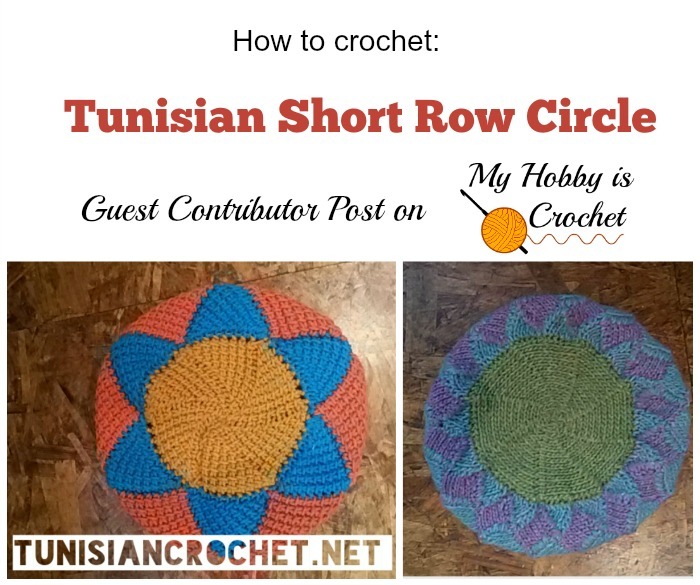 The two short row circular motifs (the center piece of the projects shown above) are both created the same way. 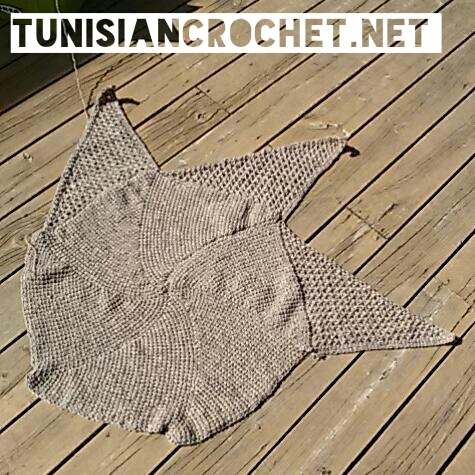 The difference is that the one created in Tunisian simple stitch (on the left) has six wedges and the one created in Tunisian knit stitch (on the right) has eight wedges. The reason for this is that the Tunisian knit stitch will produce a tighter gauge/smaller stitch. In order to create a circular motif that does not pull on itself, two extra wedges are needed. An eight wedge circle in Tunisian simple stitch will be puffy and ruffled. chain any amount. 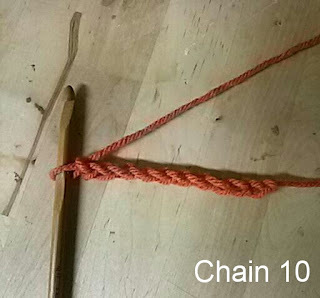 The size of the chain determines the length of the wedge. 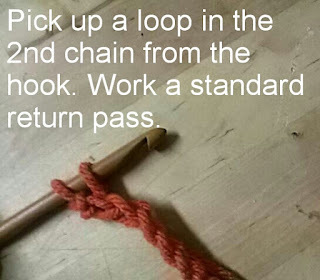 Pick up a loop in the second chain from the hook. Return row: Yarn over, pull through one loop, yarn over, pull through two loops across. Pick up stitches in the vertical bar and the end stitch; 3 loops on the hook. 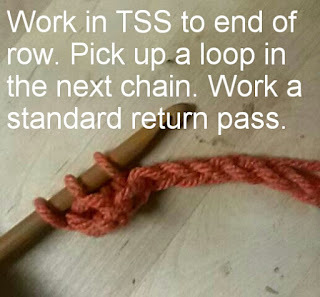 Pick up a loop in the next chain. Work a standard return row. Work like this until all 10 stitches have been picked up. Work a standard return pass. previous wedge instead of a foundation chain. off. 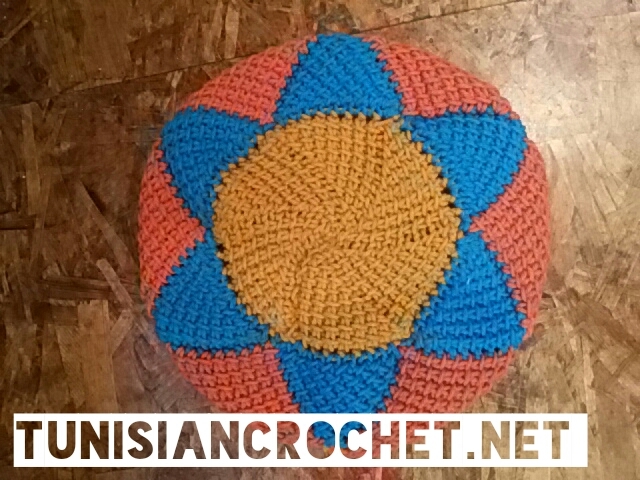 The pillow was worked with worsted weight acrylic and a 6.0mm hook. 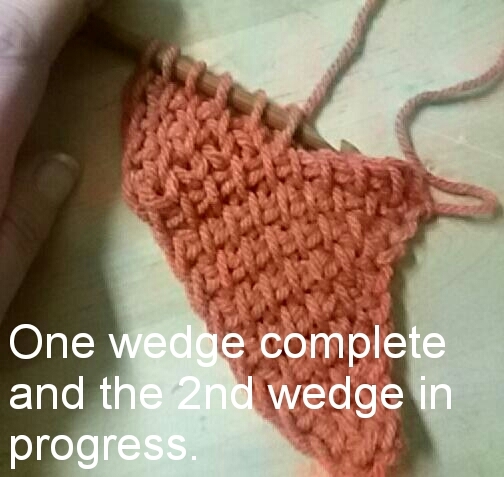 with a 4.0mm hook, using Alafoss Lopi. 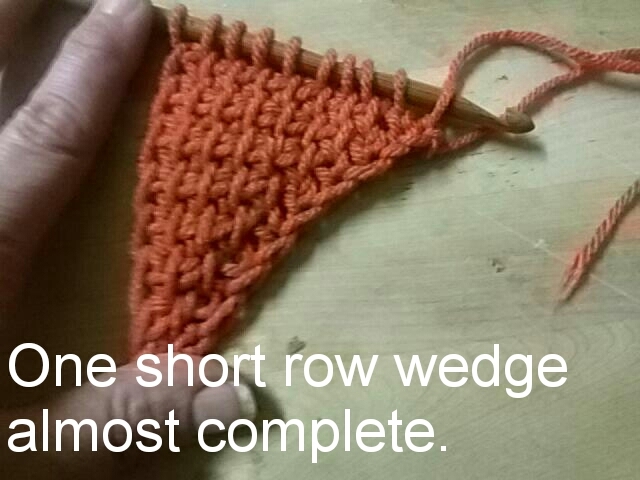 ● Make wedge circles and sew them together for an afghan, scarf, or wrap. “Christmas candy” tree ornaments ­ or, sew them together to form a garland. ● A half circle motif could be a rising sun appliqué on a blanket. ● A quarter circle motif could be the heel in a Christmas stocking tree decoration. 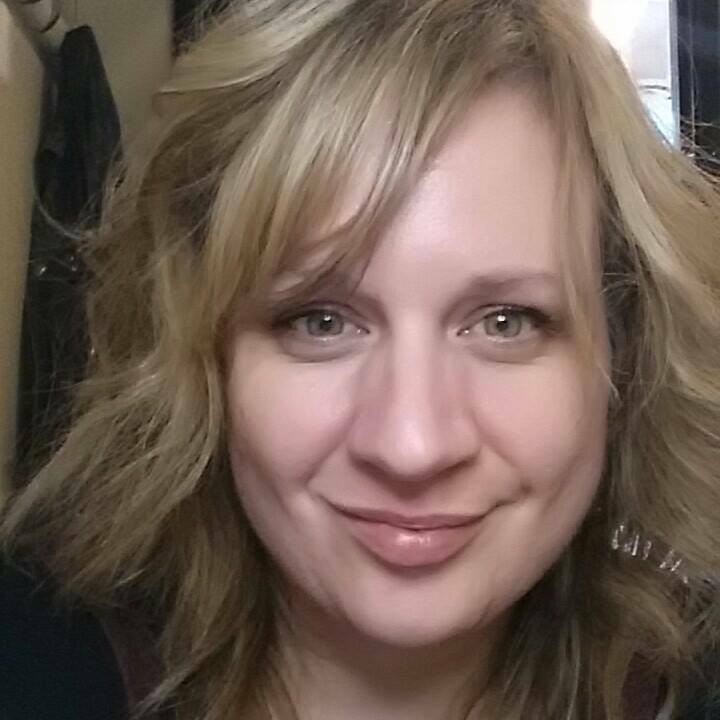 Many thanks to Nicole for this sharing this tutorial with our readers! Nicole Cormier is the designer and blogger behind TunisianCrochet.net.